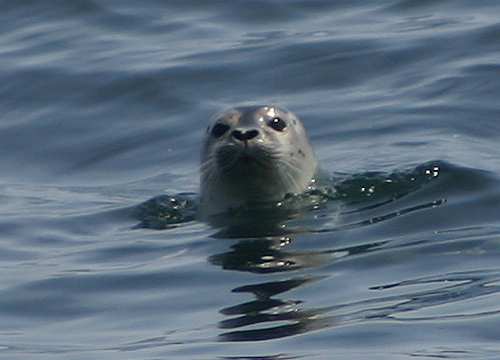 One of the things I noticed when kayaking is that seals will occasionally pop their heads out of the water to see what I am doing. Humans must be as interesting to them as they are to us. Seals will even follow me for some distance, alternately swimming under water and stopping to look me over. I also noticed that frequently a seal will pop up in the same area. I don't know if it is the same seal every time or whether this particular area is favored by seals. The thing is that I never see more than one seal, just one at a time at this particular place when I kayak through this area. And this has happened for a few years now. Time to go to the internet to see how long seals live.